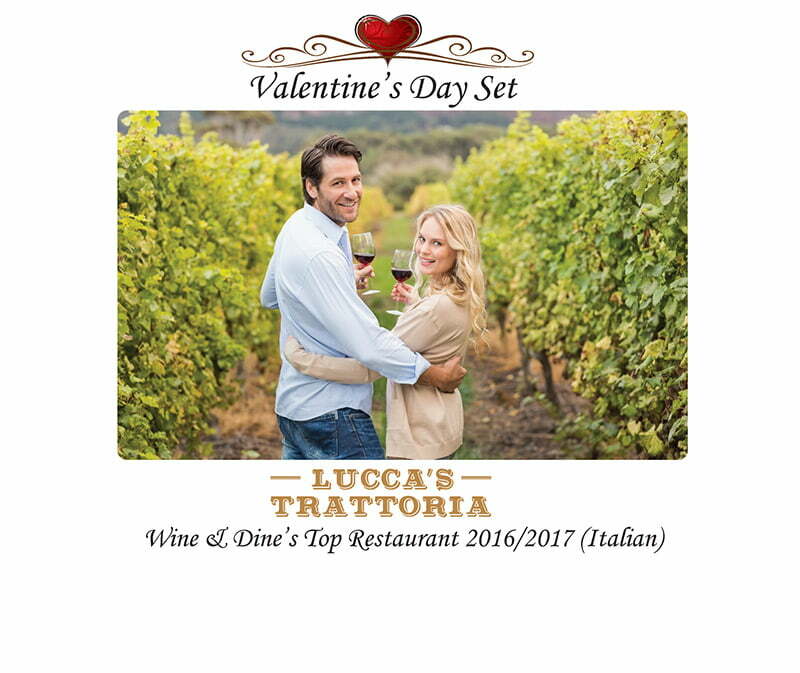 Lucca’s Trattoria is a winner of Wine & Dine’s Top Restaurants(Italian) for 2016 & 2017. The Tuscan restaurant serves unpretentious and delicious food made with premium ingredients, in an intimate and cozy setting. Alot of focus is on making food in-house, including hand-opened pizza dough and skimmed-milk fresh gelato! We also have more then 80 varieties of wines, including Super-Tuscan wines. Call us at 6235 4049 or reserve a table online.